Entry fees for Concord Cup XXVI are: $520 for U9 & U10 teams and $620 for all other age groups through U19. The tournament is open to AYSO, US Club Soccer and USYSA/CYSA teams. We have reduced entry fees by $100 until March 15. 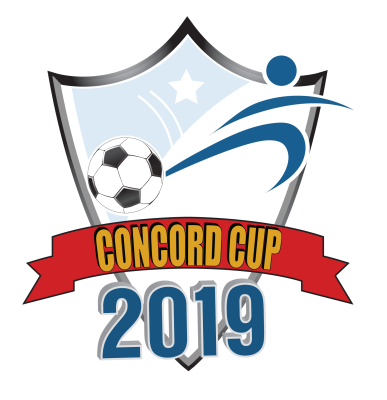 Age groups for teams in Concord Cup this year are ALL determined on a calendar year basis for the 2018-19 soccer year. Example: 2005 players are 14U. Again this year, we will be paying referees for all games. Referees wishing to have their payment donated to a team can do so. Remember, the main factors determining Concord Cup team acceptance are the date of application and receipt of entry fee payment. 1. Provide contact information including 2 (or more) different email addresses per team for Team Coach, Assistant Coach or Team Manager. It is required that when completing the team information page, you have a minimum of 2 separate email addresses. These names with DIFFERENT phone numbers and email addresses CAN NOT be from the same household! If you are using a spam filter, it is your responsibility to add [email protected] and [email protected] to your safe list. There were occasions in past seasons when information was sent to teams and they claimed to have not received it. 100% of Concord Cup communication to our teams will be via email. 2. All payment of Concord Cup entry fees must be by check. 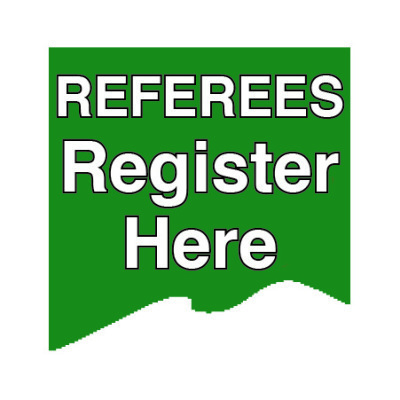 AYSO Regions (not teams) must submit checks for their teams. US Club Soccer and USYSA teams may submit a team check. Please include team name, gender and age group on every check. Do not mail your application in any postal format requiring a signature. Make sure the team, gender and age group are written on check! DO NOT INCLUDE team rosters, travel papers, etc. with your application and payment. All those documents are needed at May 17 check-in. No application will be processed until a check has been received and deposited. Checks will be deposited upon receipt. Any team which applies and is not accepted will be sent a refund check upon notification that they are not in the tournament, unless they wish to remain on a waiting list. Any returned check will be charged an additional $35 and that resubmission of the entry fee (including the extra $35) must be by a cashier’s check or money order. Entry fees increase by $30 after March 15, 2019. 3. A team which withdraws more than 30 days before the start of the tournament (prior to April 18, 2019) will receive a full refund. If a team withdraws after that date and is replaced by another paid team in the same age/gender bracket, they may be given a refund at the discretion of the tournament committee (minus monies paid for items purchased or costs incurred by tournament). If the withdrawing team cannot be replaced by another team paying full entry fee, no refund will be given. 4. AYSO ROSTER SIZE --There are AYSO National roster limits and playing rules for teams playing in a bracket with AYSO teams. Maximum roster size per age group in AYSO brackets: 10U (2009-10) is 10 players, games 7v7; 12U (2007-08) is 12 players, games 9v9; 14U (2005-06) is 15 players, games 11v11; 16U (2003-04) & 19U (2000-2002) is 18 players, games 11v11. Please do not submit more players on your roster than your age group allows! GotSoccer’s game card format limits player’s names to 24 characters including hyphens, apostrophes and spaces. Include ID number for each player. For all games through 14U with AYSO teams, players must play a minimum of half the game (2 quarters). AYSO Elite teams who apply to take part in a mixed bracket with club teams but end up in an AYSO-only bracket must adhere to these rules on roster size! 5. US CLUB SOCCER/USYSA ROSTER SIZE -- For brackets that include US Club Soccer and USYSA teams (and AYSO Elite teams wishing to play in that bracket), maximum roster size per age group is: U9 (2009-10) and U10 (2009) is 14 players, games 7v7; U11 (2008) and U12 (2007) is 16 players, games 9v9; U13 (2006), U14 (2005), U15 (2004), U16 (2003), U19 (2000-2002) is 18 players, games 11v11. 6. Priority Entry Deadline is March 15, 2019. After March 15, 2019, the entry fee for all teams will increase by $30. 7. ROSTERS -- Teams must submit player names for roster by May 1. Changes can be made to the roster through May 14 so that game cards are complete and accurate with player’s names and uniform numbers. 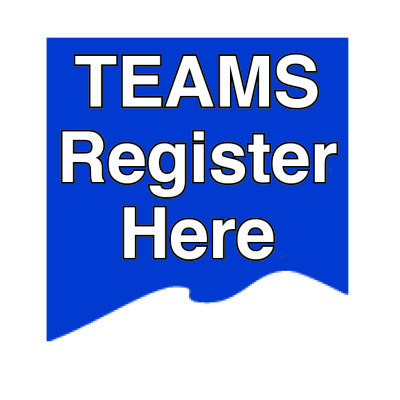 Once you are registered in GotSoccer your team will have a log-in name so that you can adjust your contact information or roster. 8. TEAM CHECK-IN – Mandatory team check-in is at the Hilton Concord Hotel on Friday, May 17, from 6-9 p.m. There are no exceptions to that check-in date. Advance arrangements must be made for Regions, Club or Team wishing to check-in more than 2 teams by 1 representative on May 17. 9. TEAM ACCEPTANCE – Generally speaking, we begin accepting teams by early April. Some teams may be accepted before then based on full flights (usually 8 teams). Until we get closer to the tournament the only communication teams will receive from Concord Cup after a team applies and gets email confirmation of the application is if we have not received payment or referee information or there are questions about the proper age group and flight teams should be in. Complete tournament rules and procedures will be posted at a later date. We look forward to having you join us for Concord Cup XXVI.